Some days running is a chance to get away and take a mental break. Others, it’s a way of letting your spouse deal with the toddler who thinks the cat box is a sand box. And some days, running is just a way to get out and enjoy the view. I’m a lucky girl. I live in a quiet country town with mountain views on the west and boundless earthy plains on the east. 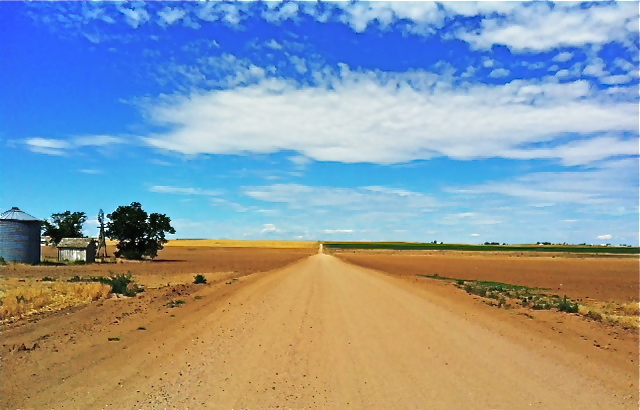 There is no lack of running territory or shortage of dirt roads. Typically during the week I find myself running on more well lit paths with less ability to voyage through nature simply because the sun isn’t always up as early as I am, but my weekend long runs are prime opportunity for enjoying breathtaking scenery and letting my soul capture the sheer depth of silence that is perpetuated only by the gentle wind. No matter how hard the run, how challenging the workout, or how stressful and hectic life might be, every day I get to come back to Paradise Lane and live in a reality all my own that is simple and basic, yet mesmerizing in vastness and beauty. This is my motivation. What’s yours?